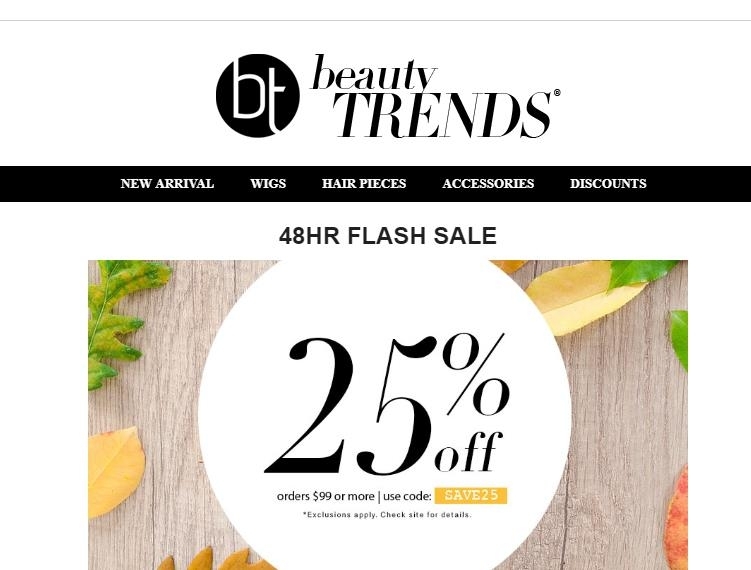 DealsIn Get 25% OFF wigs and hairpieces on orders $99 or more. Simply enter code "SAVE25" at checkout. Promotion ends 10/23/2018, 11:59PM CDT. Don't miss out!